This kind of wood has a weak pink to dark red heartwood, quickly darkening to a red brown in time. One of the most traditional feature of Sapele is the interlocked and visible grain. It is a hard wood, reason why it has been used as construction lumber, but its bright and fine texture which makes of this wood a very common choice in the interior design, furniture, paneling or doors. Depending on the cutting technique, we can obtain interesting effects. In this case, we get a shining striped veneer with a simple outer aspect by cutting Sapele in quarters, whereas a tangential flat cut procures a clearly defined pattern because of its interlocked grain. Actually, Feelwood is a kind of textured finishing developed by ourselves, which consist in a rough cut effect that contrasts with the quarter cut pattern, creating a mesh effect, but always with the natural material felling present. That is why Sapele gives you the possibility to fill rooms with a subtle exotic African scent, or even can be used as a deliberate contrast to modern elements. It is a perfect way to come back to the natural feeling, but with a new point of view. 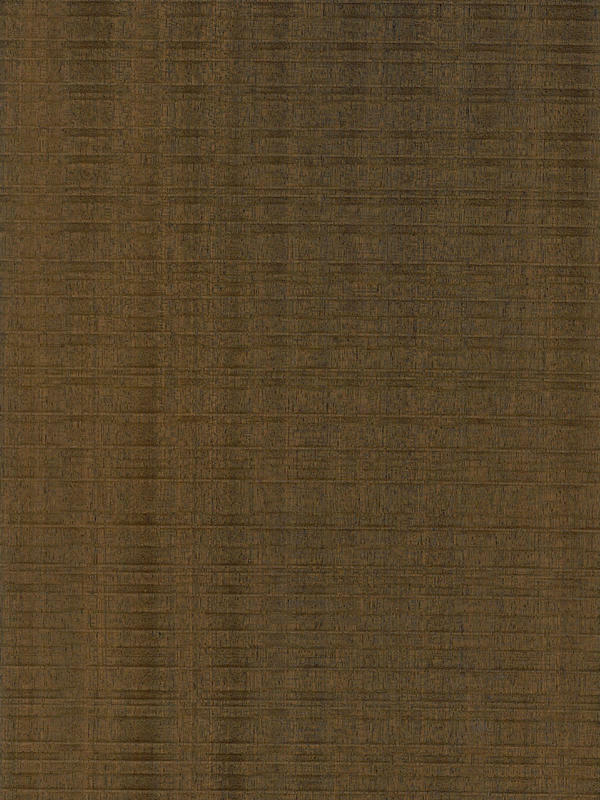 Texture, grain and colour of Sapele Quarter Cut Feelwod shows us the infinite possibilities that we still have not discovered in an anthique wood material.